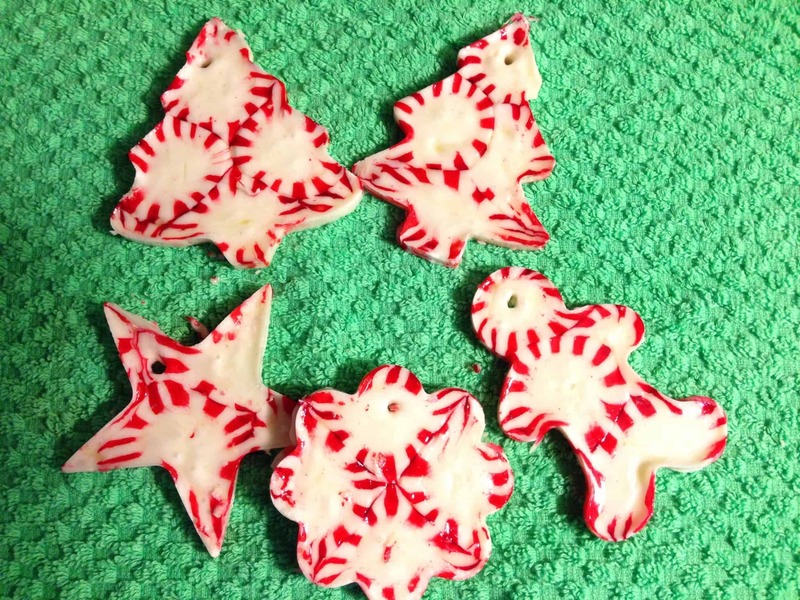 I love these peppermint candy DIY Christmas Ornaments! They are fun for all ages, very inexpensive and quick to do. They look great on the Christmas tree, as part of a gift or as a Holiday coaster. Using a sealer like modge podge or polyurethane adds a protective layer so you can use them as a coaster during a holiday party. Coat cookie cutters with pan spray. Place on parchment paper on a baking dish. Place candy pieces in a single layer. 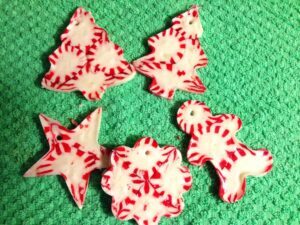 Some of my cutters were small so we broke the candies in to smaller pieces and filled in some spaces. Bake for 7-10 minutes, depending on your oven, until melted together. 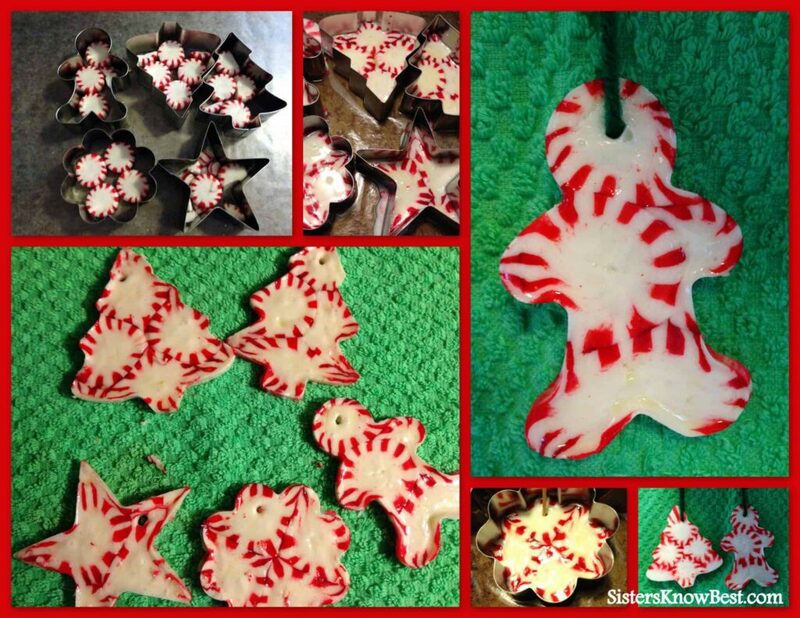 Once completely cool, push out on the cutter to separate the ornament and pop it out. Use string or yarn to place through the holes. If using as a coaster or a permanent ornament, you will want to seal in modge podge or polyurethane. Note: Some of the candy leaked out from the cutter when I made mine. Gently snap this part off. All mistakes and pieces you snap off are YUMMY! There you have it! An easy DIY Christmas decoration or ornament at affordable prices! For other Christmas ideas, visit our Christmas category! 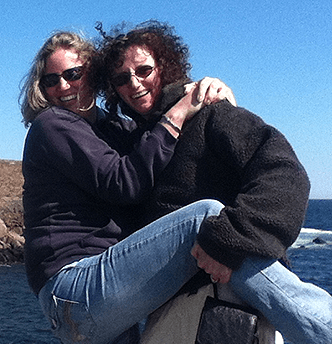 No two are the same so we’d love to see yours on Facebook!